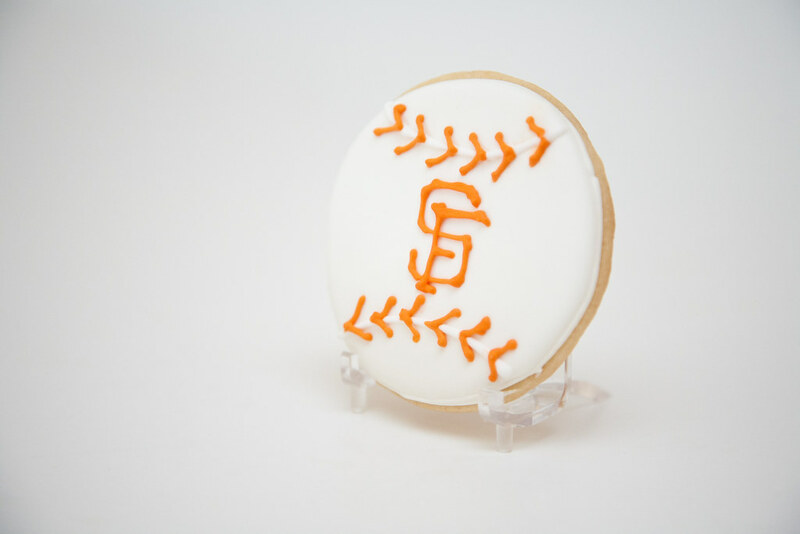 I made these Baseball Cookies for a baby shower of some parents -to-be that clearly are fans of the San Francisco Giants. Maybe their baby is a good luck charm? !